The key to keeping your vehicle in the best possible condition is routine service. At Kia of Anderson, we know that it's sometimes difficult to remember scheduling an appointment for you car. Sticking with a regular service schedule, however, boosts your vehicle's longevity and also helps you save money in the long run. Kia of Anderson is dedicated to our customers' satisfaction - across the board. We don't just sell new Kia models and used cars, we offer a full-service menu for drivers throughout Pendleton, Greenville and Clemson, SC. Whether you bought your vehicle from us or not, you can capitalize on the expertise of our talented service technicians. Our service technicians are masters in their field, and they're ready to tackle any and all your service, maintenance and repair-related needs. Whether you're coming to us for a simple, quick service like an oil change, or something a bit more dire - like a battery replacement - we can help. Our service center is also fully equipped to repair your vehicle after a fender bender or serious collision. Our body shop can fix up any dents or damage to your vehicle's exterior and undercarriage with skill and precision that can't be topped. 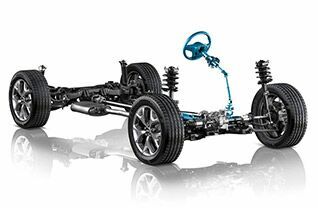 Whatever your vehicle needs to run as smoothly, safely and soundly as possible, Kia of Anderson can deliver on it. Our passion is properly maintaining our customers' vehicles so they can drive freely and confidently without interruption throughout Pendleton and beyond. When you choose us for your next service appointment, you can expect top-tier auto service, quick turnaround times, and affordable rates. Our service center even offers our customers a comfortable space to kick back and relax if you're waiting for your vehicle. Our waiting area is stocked with complimentary refreshments and our customers can access free Wi-Fi if they need to hop on their computers or access the internet from their mobile device. Be sure to choose the best auto service, maintenance and repair center in the greater Anderson and Pendleton, SC area. Schedule a service appointment for your car at Kia of Anderson today and reap the benefits of quality auto service for years to come.